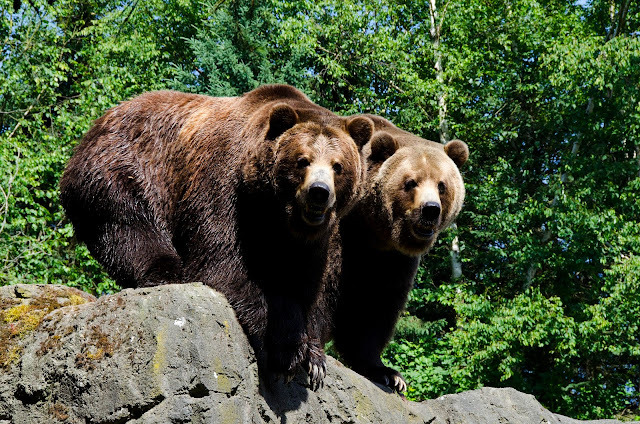 Our grizzly bears, Keema and Denali, celebrate their 25th birthday on January 15. We've watched them grow from rough and tumble cubs to handsome beasts with fine-tuned palates for salmon, a penchant for romping through their stream and a remarkable nose for coffee grounds. They have inspired thousands of guests to take conservation actions and protect Pacific Northwest habitat. 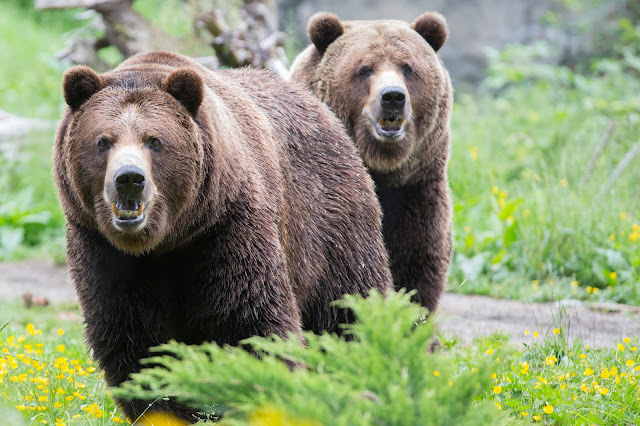 To mark the occasion, we’re giving you the gift of 25 fun facts about our favorite grizzlies—one for each glorious year! 1. Keema and Denali are twins—born January 15, 1994—and have been together their whole lives. 2. Their age is an indicator of the good care they receive here at Woodland Park Zoo. The average life expectancy for a wild male grizzly is 22 but bears in human care can live much longer. The cubs kickin' it in the stream way back in 1994! 4. 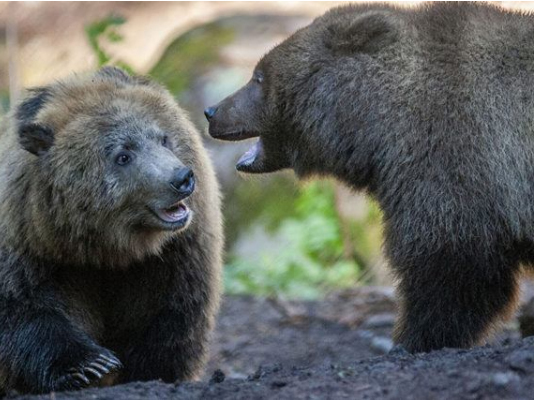 Keema and Denali came to Woodland Park Zoo as 10-month-old cubs. 5. Their mom was a rescue from Yellowstone who couldn’t be released back into the wild. Washington State University gave her a home in their Bear Research, Education, and Conservation Center. It’s the only program of its kind in the U.S. that focuses on bear conservation around the world. 6. 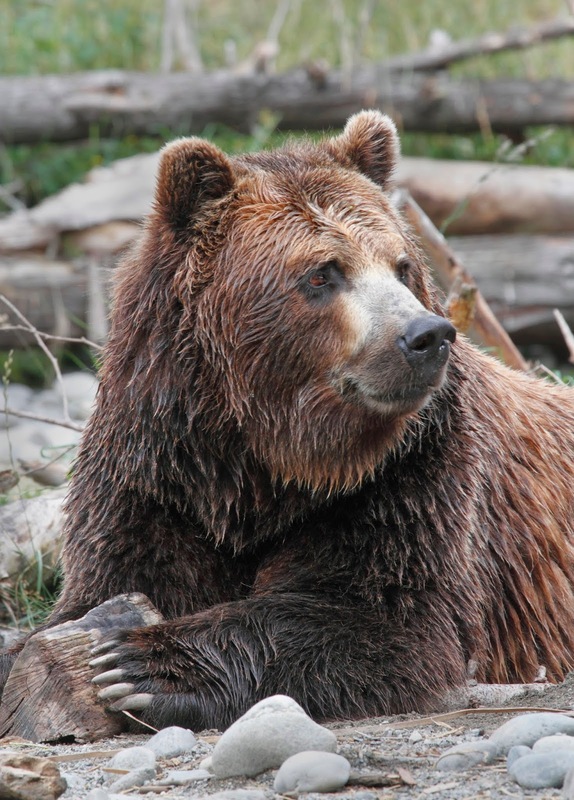 Grizzlies—also known as brown bears—are often brown, but their coloring can range from very light cream to black. 7. Identical twins? Not quite. Keema has a light-colored patch on his side, but is generally darker than his brother. Denali has a wider forehead than Keema. 8. Their weight can fluctuate by more than 200 pounds during the course of a year! In summer, when they’re more active, they can weigh as little as 670 pounds each. 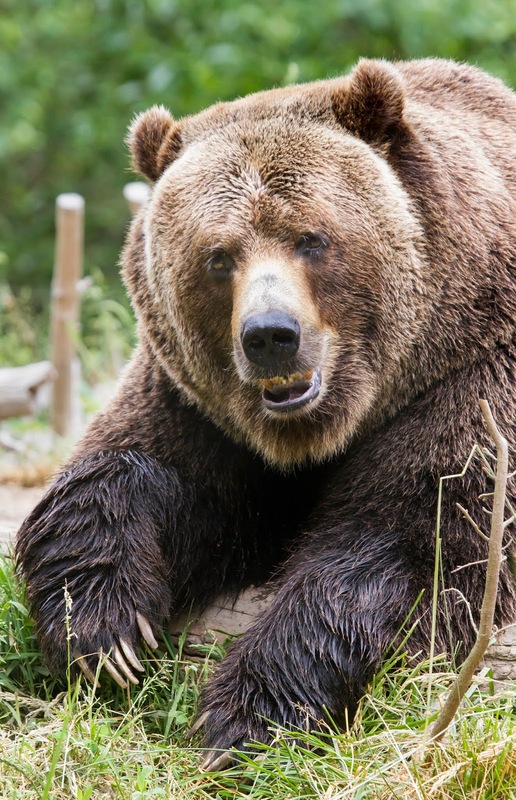 During winter when they’re sleepy and less active they can get up to 870 - 880 pounds! 9. 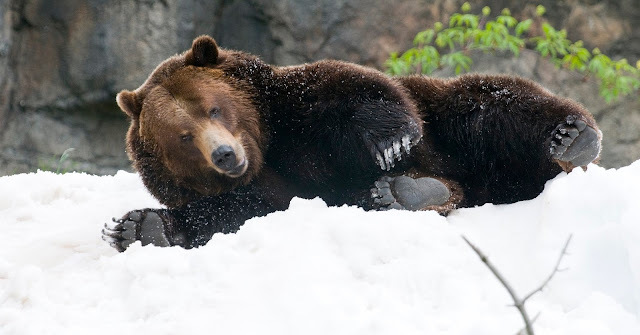 Grizzlies don’t technically hibernate in the winter. They just get sleepy and spend lots of time napping—living off of the fat reserves they packed on in warmer times. 10. 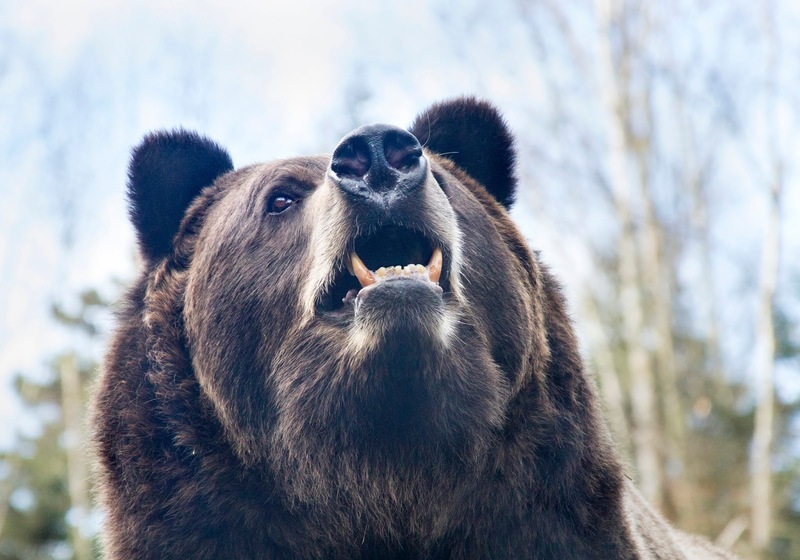 Our bears have very distinct personalities. Denali is more laid back while his brother Keema likes to be in control and tends to be the more dominant brother. 11. The bears each have their own spots near the stream where they like to eat. Just like you and your siblings who call dibs on a particular spot at the dinner table. 12. Keema has a sideways “look” he gives his keepers, especially when they miss his preferred spot while tossing his snacks near the stream. 13. Keema gives that same sideways look when he’s about to be naughty! 14. Grizzlies have a better sense of smell than a hound dog and can detect food from miles away. 15. 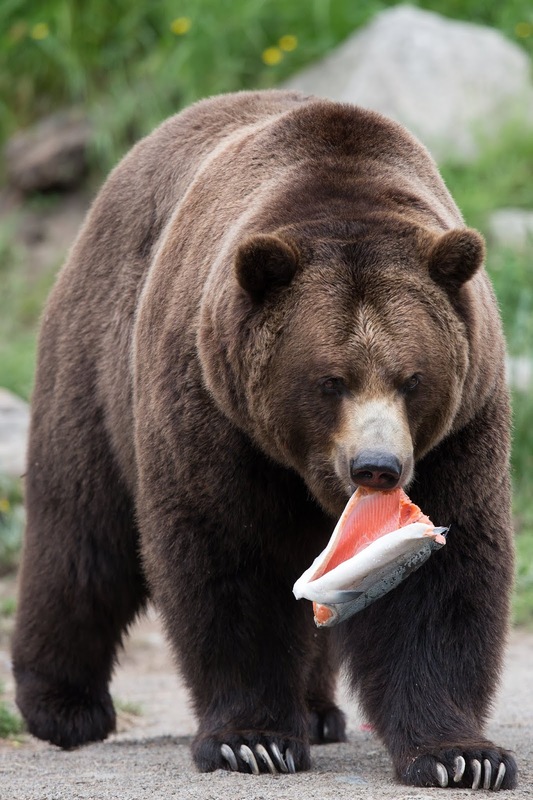 Wild grizzlies are omnivores—meaning they eat a wide variety of foods. That includes meat, fish, insects, fruit, vegetables, tubers and berries. 16. If our boys had the chance, they’d eat almost anything. Exceptions are tomatoes, green beans, bananas and citrus, which they do NOT like. 17. Keema and Denali’s regular diet includes a wide variety of foods. Proteins could be trout, quail, chicken and turkey. Veggies include romaine, celery, kale, carrots and yams. And they love fruits like pears, apples, papaya, honeydew, cantaloupe and other seasonal goodies. 18. One of their favorite treats is peanuts! Denali eats them whole while Keema shells his. 19. 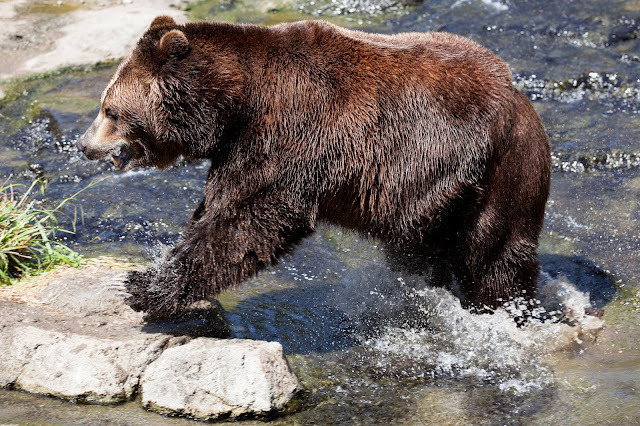 All bears are attracted to smelly things—including things you throw in the garbage. 20. We love when you use bear-safe garbage cans to secure your smelly things. It keeps bears safe and away from potential conflicts with humans. 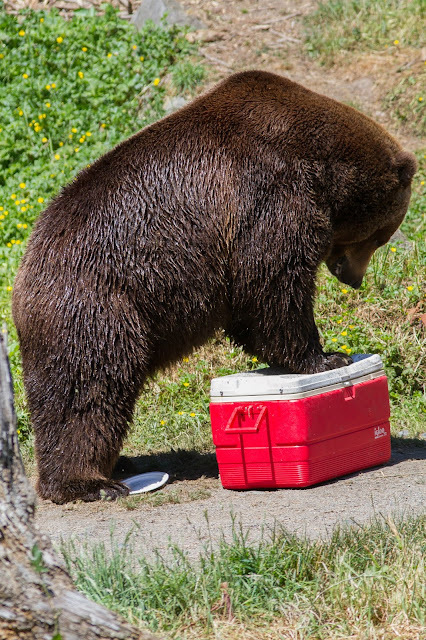 Denali offers a lesson in not-so-bear-proof camping gear. 21. That large hump on their backs is actually a muscle. Grizzlies dig more than any other bear species, ripping through the earth and tearing apart rotted logs in search of food. 22. 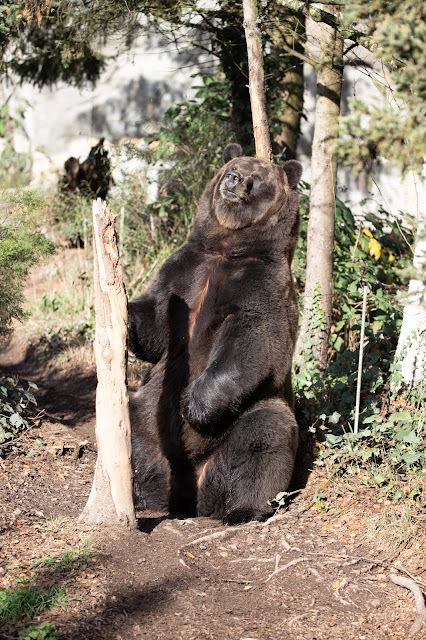 Both our grizzlies—like all grizzly bears—love leaning against trees and using them as back-scratchers. 23. Denali seems to be a lefty, preferring to use his left paw as the dominant one. Keema is a righty. 24. When the bears sleep inside at night, they make beds out of fresh hay provided by their keepers. 25. Keema tends to make his bed first, often stealing a good portion of Denali’s bedding. Denali then scoops together what’s left of his hay, builds a nest and snuggles in. The brothers check out the camera from their favorite rock lookout. p.s. Two very adorable cubs, Hawthorne and Huckleberry, remind us of a young Keema and Denali and we can't help reminiscing when we see them romping around at Northwest Trek! 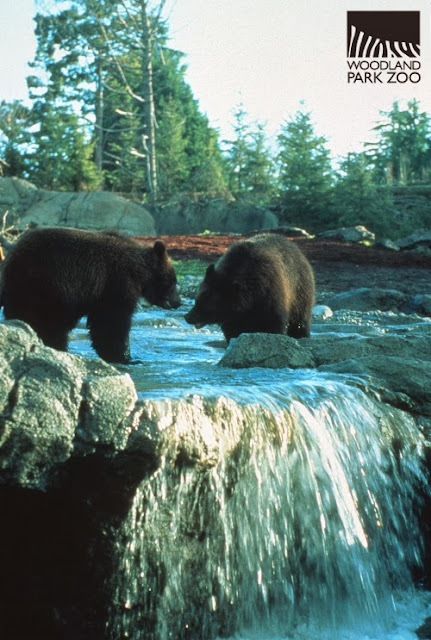 We're sending happy birthday vibes to our friends at Northwest Trek and wishes for salmon and adventure to the young cubs!